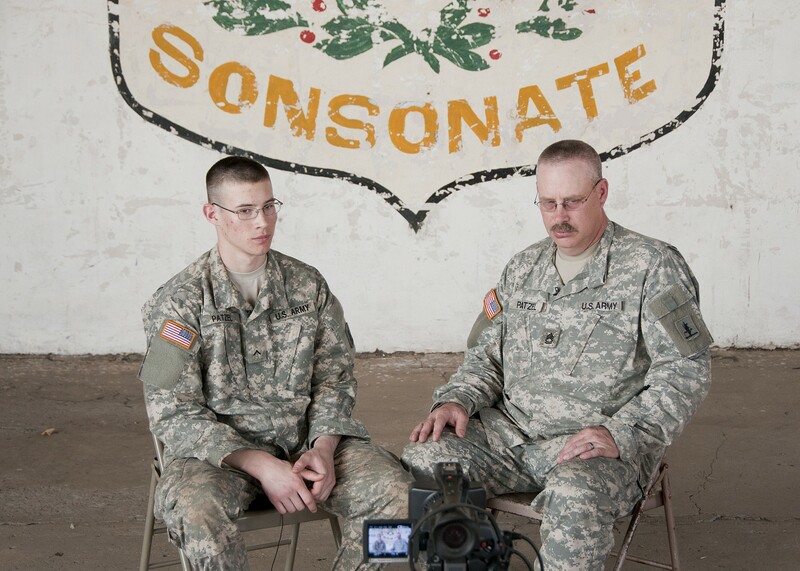 SONSONATE, El Salvador -- As one career ends and another begins; a father and son tandem from the Nebraska National Guard are appreciating the opportunity to share a last, and a first with each another. With the father set to retire April 1 and the son fresh from training in February, the pair was set to travel to El Salvador to participate in a meaningful humanitarian exercise, Beyond the Horizon, in March. Beyond the Horizon 2013 is a U.S. Southern Command-sponsored, U.S. Army South planned and led joint and combined field training humanitarian exercise in which U.S. Active duty, National Guard, and Reserve service members specializing in engineering, construction and health care, working along-side partner nation personnel to provide much-needed services to communities in need while receiving valuable deployment training and building important relationships with partner nations. "At first we thought the mission was going to end in March, my retirement date was set for April 1," said Sgt. 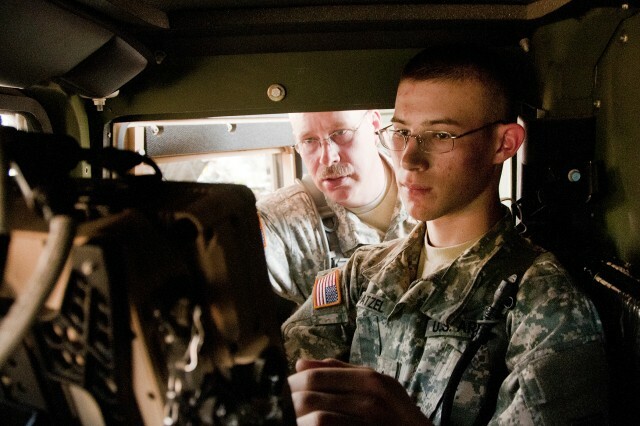 1st Class Mitchell Patzel, 267th Support Maintenance Company noncommissioned officer-in-charge, Nebraska National Guard. "The date changed and was now happening after my retirement date; I was now going to be retired before the trip happened." 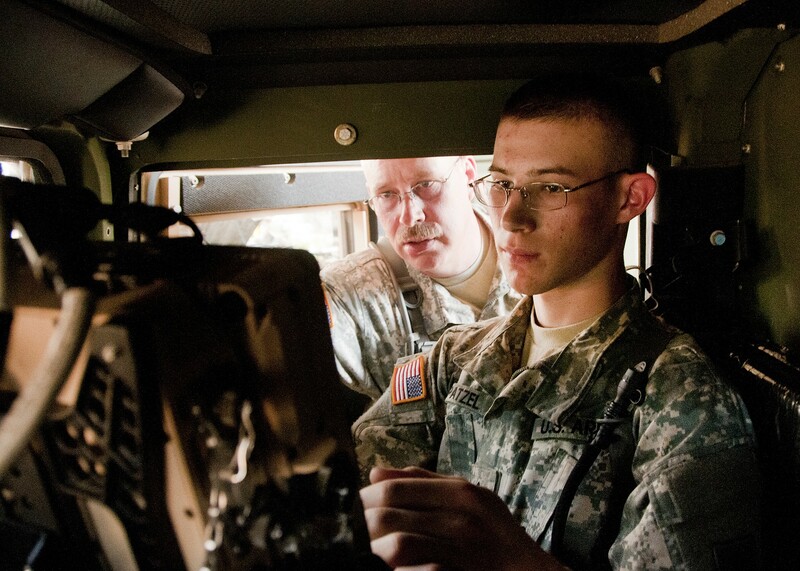 Appreciating the brevity of the opportunity, Nebraska National Guard leadership took action. "My leadership extended me thirty days to allow me to do this, and I am very grateful for the opportunity," expressed the senior Patzel on his final annual training drill. The soldiering pair however was not something that happened by chance, the younger Mitchell knew at an early age that being a soldier was something he wanted to do. "Growing up and having my Dad bring me with him to see how everything worked in the National Guard piqued my interest, made me want to join," said Pvt. Mitchell Patzel, Jr., 267th Support Maintenance Company mechanic, Nebraska National Guard. Dad admits that he left him to follow in his footsteps if he wanted to, although he was always sure he would. "I've got a picture of him behind the steering wheel of the Humvee when he was five years old," said the senior Patzel. "He has been interested in it ever since then." Military service in the Patzel family, however, was also considered. "My paternal grandfather was in the Army, my maternal grandfather was in the Air Force, and my uncles were in the Air Force and Marines and my sister was in the National Guard," the younger Patzel said. "So there is family history with the military, I wanted to keep that tradition going." 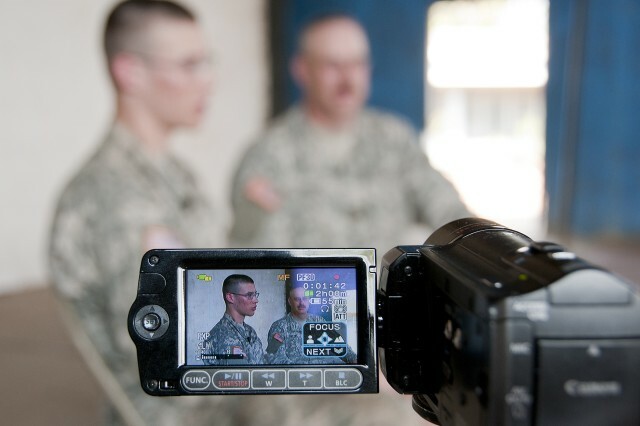 The senior noncommissioned officer Patzel is cognizant of the perception delegating tasks among soldiers in his unit can have. "I have to make sure that there is no sense of favoritism between assigning him a detail," said the noncommissioned officer-in-charge. 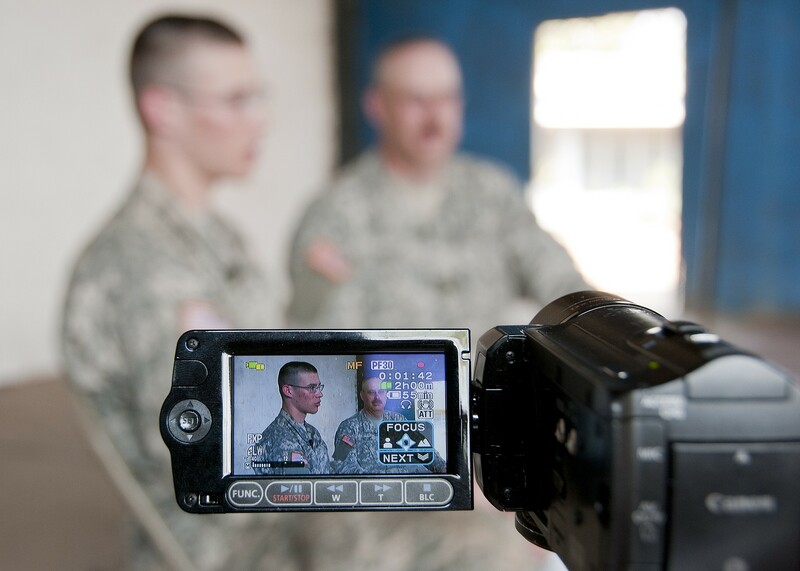 "Everybody has to do those details; it's just part of what we do as soldiers." When asked if the senior noncommissioned officer inspires the newly assigned private, the response was quick. "I try to accomplish what he sets out for a goal that day, so he does inspire me to get work done," said the younger Patzel. As the sun sets on one career and rises on another, the accomplishments of one bring out the competitiveness to achieve more in the other. "I'd like to beat him in rank and in total years of service, just to say I did," the wide eyed Patzel said. "But that's a few years down the road though." To make the trip to El Salvador a reality, some resourcefulness had to take place. "When he [Pvt. Patzel] came back from Christmas break, he took a couple of days to do all the administrative stuff he needed to do to get on this trip," said the senior Patzel. The opportunity is something the senior Patzel ranks atop his most significant accomplishments over the past 26 years while in uniform. "I would say being here with my son is the highlight of my career," said the soon-to-be retired Patzel. "I've been to Germany six times, which was great, but this, being out here in a real world environment with my son has made it the best opportunity I've ever had in my long career."